Tuesday, July 11 at 7:00 p.m.
Takashi Yamamoto, Executive Chef of traditional kaiseki restaurant SUZUKI, will present a unique kaiseki tasting menu that highlights the culinary treasures of Hiroshima and Shimane prefectures. For one night only, Chef Yamamoto will combine seasonal local ingredients flown in for the occasion. 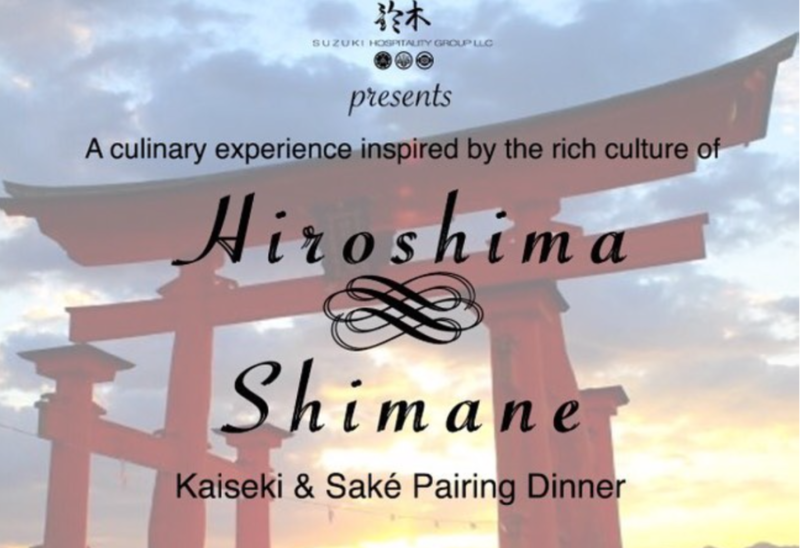 The tasting menu will be paired with sake from prized local craft producers in attendance from both prefectures. Price does not include tax and tip. To make a reservation, please email info@suzukinyc.com or visit SUZUKI’s website. Previous Previous post: Japanese American Activist to Speak About Redress at "Reparations for whom?"